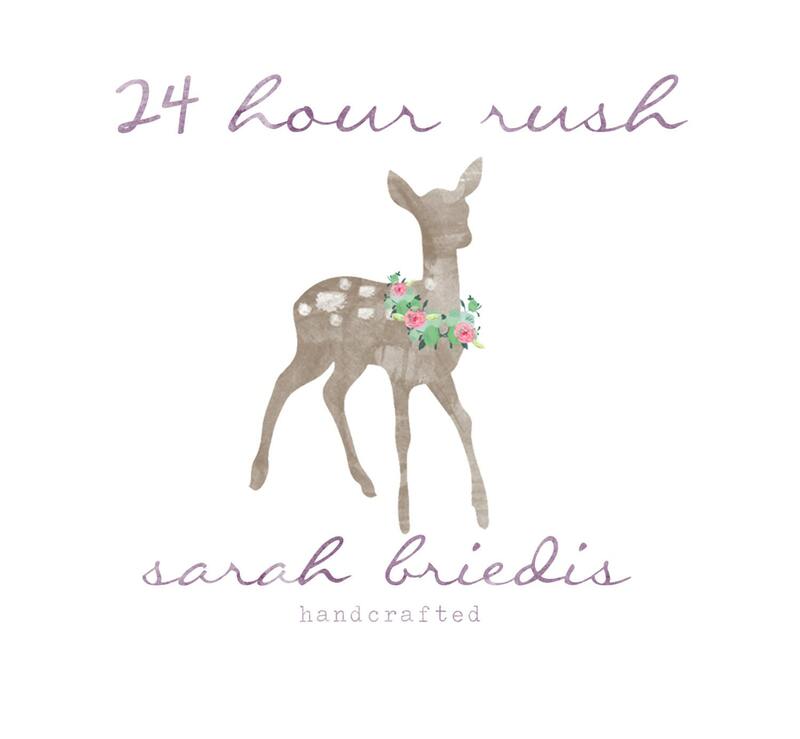 This listing is an upgrade offered to Sarah B. Handcrafted Customers. Production time is typically 10-14 days. This listing upgrades production time to 24 hours or less. This listing does NOT affect shipping!!! You must still choose First Class, Priority or Express Shipping at checkout. First Class typically takes 4-5 business days to receive once shipped, Priority 1-3 business days once shipped and Express 1 day, once shipped. Please contact me via Etsy's conversation feature prior to purchasing an order with RUSH production. I may or may not be able to accommodate your request. I will try my best, but RUSH production may not be always be available.